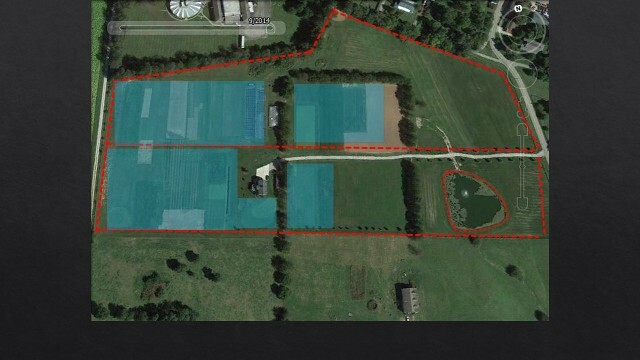 The 20 acre facility features a 62-zone computer controlled irrigation system that covers over 300,000 sq. ft. of high maintenance turf. In 2012 the on-site irrigation pond was enlarged and lined, assuring the availability of water in even the driest of years. 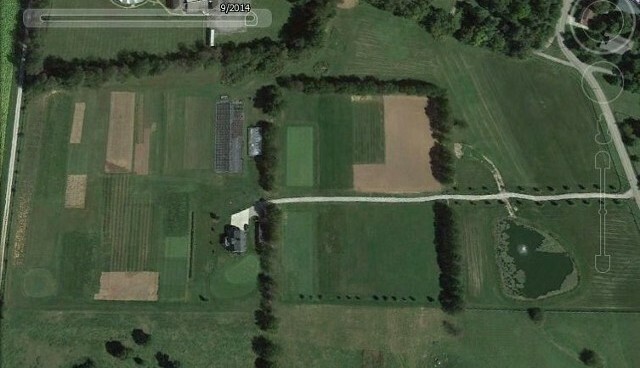 Aerial view of Southeastern Turfgrass Research Center in 2014. Blue shaded areas indicate irrigated zones.